Paige’s passion for training began with and remains in rescue. Although she grew up with dogs and loving animals, her real journey with dogs began when she started volunteering at a German Shepherd rescue. This rescue is where she was first able to see the difference a little bit of time and dedication to training and exercise could make on a dog. The organization cared for 50 plus dogs at any one given time. It was here that she began to wonder, perhaps these dogs would not have been given up if they’d had a little bit of training, too. It was then that her mission became to take a preventative approach to rescue: If she could educate owners and advocate for their dogs, maybe a few more dogs would get to keep their homes and families for the entirety of their lives and never have to experience the stress and loneliness of being surrendered to a shelter. At this time Paige began studying behavior in college, volunteering as a puppy raiser for Guide Dogs for the Blind, and learning under behavior modification and rehabilitation experts. Guide Dogs for the Blind introduced her to a positive reinforcement approach to dog training, the importance of appropriately socializing puppies, and how to teach a dog to be decisive and not blindly obedient. The value in this experience was learning to be proactive about behavior. She raised three puppies for Guide Dogs for the Blind. One became an international breeder for his excellent disposition in Victoria, Australia, one became a therapy dog, and another is currently working on graduation requirements with Dogs for Diabetics. When Paige rescued her own damaged dog, it was three years old, and she had already missed out on the crucial time period to be proactive with him. She began to study how to “fix” behavior that existed due to a lack of training and socialization as a puppy. 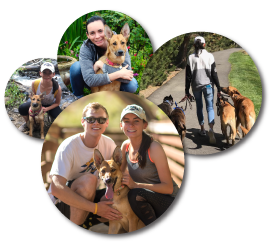 When she began to work in behavior modification, she met trainers and mentors who swore their way was the one and only way to correctly rehabilitate a dog. Anyone who disagreed was inhumane, ignorant, or incompetent. Positive only, compulsion based, pack mentality, and tools-fix-everything were just a few of the attitudes she stumbled across. Because of this she made it a goal to completely immerse herself in all of these training styles one by one in order to refine her handling skills, further understand the ideology behind each style, and add all of these techniques to her tool belt. However, the unfortunate part about these experiences was that she saw holes in each and every ideology and in the politics of the people who so steadfastly practiced them. Dog after dog was turned away, did not thrive, or was given up due to a lack of open-mindedness about how to rehabilitate. Pride got in the way of doing what was best for the dog. This is where her beliefs regarding dog training really began to take hold. It is Paige’s belief that dogs are intelligent and sentient beings that deserve to be treated as such. She practices a scientific based approach that couples with the understanding that each dog is an individual with experiences, drives and feelings that make them unique. She believes that many behavioral problems stem from a basic lack of clear communication and that developing a common language between dogs and their owners is the key to helping a dog live up to their full potential and improve the bond between owners and their dogs. Bad dogs need training, but good dogs deserve it. She currently gets to put these beliefs into practice with her own two rescue dogs, Rhea, a Belgian Malinois mix, and Dexter, a dachshund mix. 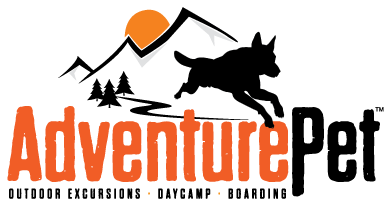 She is so excited to be working with Adventure Pet to help educate owners on the positive difference that appropriate mental and physical stimulation can make on the dog-human relationship. Paige has studied under internationally famous trainers and has travelled across the country to continually educate herself in order to improve her skills, expand her knowledge base, and add to her tool belt. She is a Professional Member of the International Association of Canine Professionals and is a Canine Good Citizen Evaluator.